Communities are unprepared to deal with their stormwater runoff problems! Precipitation that does not evaporate or soak into the ground but instead runs across the land and into the nearest waterway is considered stormwater runoff. Every time it rains or snows, communities within the Severn River watershed are inundated with stormwater runoff. Most of these communities were built during a time when the primary goal was to channel stormwater away from a property, sidewalk, roadway, or driveway and into a storm drain so it would immediately flow into creeks and the river. Unfortunately, little thought was given to the fact that as stormwater flows across streets, sidewalks, roofs, parking lots and driveways, the runoff picks up harmful pollutants. With increased development in the watershed, pollution levels have become so severe that the EPA has declared the Severn River “impaired” and has imposed total maximum daily load (TMDL) limits to reduce pollutants such as sediment, nitrogen and phosphorous. Stormwater runoff is now the major problem that local river communities are ill-equipped to resolve on their own. 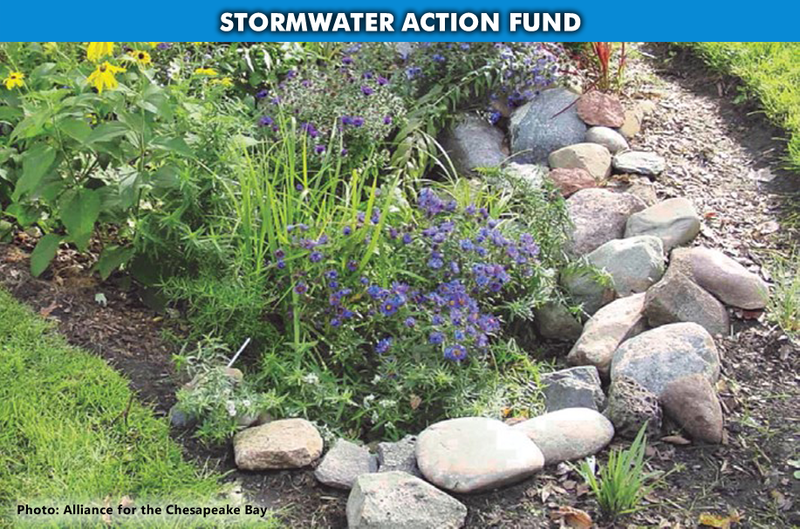 As a first-step in helping member communities to address their stormwater problems, the Severn River Association’s Marshall Dowling Stormwater Action Fund (SAF) provides seed grants of up to $1,500, which are matched with community funds. There are three types of SAF grants: assessment, design, and implementation. Assessment grants enable communities to hire experts to evaluate their community for the best locations and practices to manage their stormwater. Design grants enable communities to design rain gardens, bio-remediation projects, native species plantings, bio-swales and other pollution control structures. Implementation grants help communities leverage their designs into tangible stormwater solutions. Grants from SRA’s Stormwater Action Fund (SAF) enable communities to start the process of applying for larger grants or secure additional funding sources. They do not fund entire projects. Something as seemingly simple as planting a rain garden can have a big impact for a community. Rain gardens are designed to capture stormwater runoff through a landscaped depression that allows water to soak into the ground instead of running into streets or storm drains. This percolating action naturally filters the pollutants out of the rain water. With the funding provided by SAF grants, communities can start the process of hiring landscaping and engineering expertise to control and solve their local runoff problems. Severn River Association and member communities. Improve stormwater quality and reduce runoff into the Severn River.